The DesertLeaf has just published a 3-page article about me in the current (January 2014) issue. 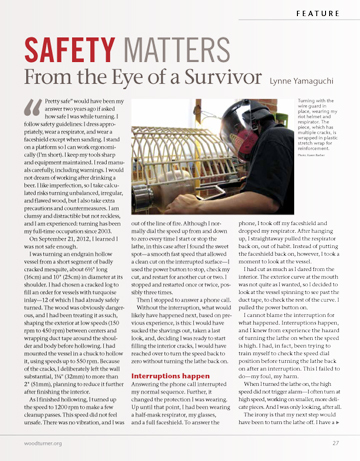 You can read the issue online here; the article, “Lynne Yamaguchi: Flawed Beauty,” by Lorraine A. DarConte, starts on page 56 (it’s the column called “L’Art Pour L’Art”). 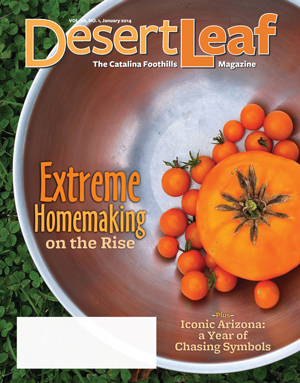 The DesertLeaf is a monthly publication for the Catalina Foothills area of Tucson. The retina specialist believes the retina is detaching, based on what the ultrasound is showing. She has scheduled me for surgery next Tuesday morning to try to reattach the retina. In the process, she will remove the vitreous gel from the eyeball and replace it with either a silicone oil or a gas bubble to hold the retina in place (vitrectomy) and will put a band around the eye to counter the stress that is causing the retina to detach (scleral buckle). While she is operating she will also remove the displaced lens, since it is complicating the picture and would have to be replaced surgically down the road anyway. She is certain that I will lose some vision; how much is unknown. I’m still focused on a full recovery, even if it takes a bit longer than expected. Keep those positive thoughts and images coming, folks! And thank you! I ardently thank you! I just got a call from Phoenix Home and Garden magazine. 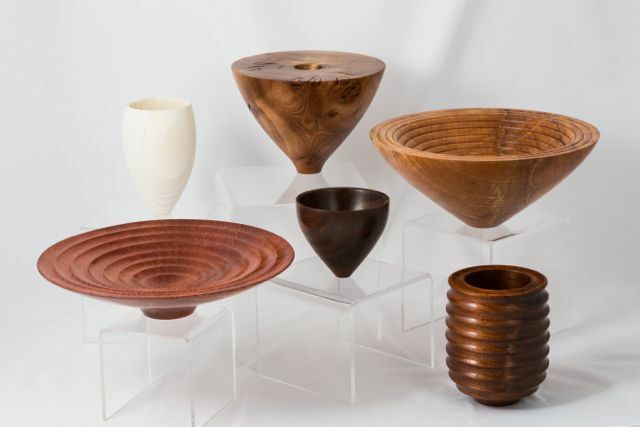 It seems they like my work and are naming me one of their four Emerging Artists for 2010. This means a story and photos in their March issue. I will keep you posted.